As a father and grandfather myself, it's always hard to hear about children's injuries, especially when they're preventable. I'd like to call attention to choking, which is the leading cause of injury in children. It's also the fourth leading cause of unintentional death in children under age four. Almost any innocent product can be a choking hazard, whether it's food, a toy, or another common item. Food causes the majority of choking incidents, with about 34 children treated daily for non-fatal food choking. The leading hazards are hard candy, meat, and bones, but the foods most likely to require hospitalization are hot dogs, seeds, and nuts. 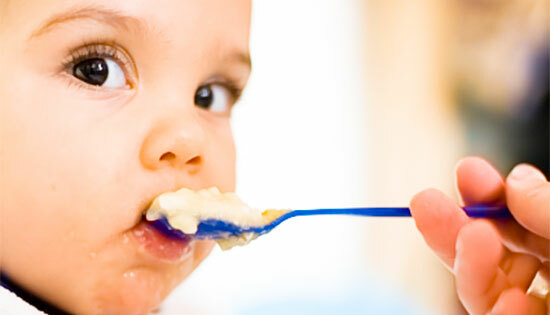 To prevent choking on food, pediatricians generally agree that children should not eat solid foods before they're four months old. At this age, a child's breathing tube is only about the diameter of a drinking straw— food as innocent as peanut butter or raw peas can cause choking. Even if your children eat solid foods, they shouldn't eat foods like hard candies, gum, or large pieces of fruits and veggies until they're five years old. Unlike hazardous foods, children's products and even some household items have choking hazard regulations. Manufacturers are often required to establish age group recommendations, market only within those age groups, and clearly display choking hazard warning labels and age ban labels. But even with these regulations, choking remains the leading cause of toy-related death, surpassing toy-related drowning, suffocation, and falls. When buying toys, remember that children under three years old will put anything in their mouths, so avoid any toy with a choking hazard. Never buy balls or marbles with a diameter of 1.75 inches or less, especially ball-bearing magnets, which can cause serious intestinal injury. Always stick to toys with unmovable, tightly fastened parts, and watch out for unsuspecting toys, too—balloons, crayons, and stuffed animal eyes are some of the top choking offenders. It's important that all of your child's caretakers know the risks associated with any item a child can access. Anyone who comes into contact with your child plays a role in choking prevention, including other family members, babysitters, and school personnel. By educating others on the dangers of childhood choking, we can help to reduce these preventable incidents. "Should there be choking warning labels on food?" CNN.com. July 29, 2013. "Avoiding Choking Hazards in Children’s Toys." ChildSafetyCentral.com.